Feeling blue during this chilly winter? Need a feel-good musical to transport you away to a paradise of sentimental song and dandy dancing? We may just have the very show to dispel the gloom and turn that frown upside down. 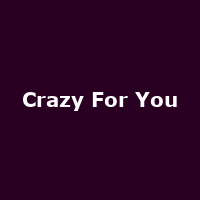 Much of award-winning musical 'Crazy For You' was written as far back as the 1930's by the goldmine songwriting duo, Ira and George Gershwin - except that it wasn't called 'Crazy For You', but instead masqueraded as 'Girl Crazy'. The newer title was actually applied to Mike Ockrent's Broadway production of 1992 and featured many original numbers from the original Gershwin production. 'I Got Rhythm', 'Embraceable You' and 'Nice Work If You Can Get It' all feature within this memorable spectacle, the plot of which centres on a run-down theatre in a poor mining town which is set to close under the instruction of the bankers. The man sent to close it (Bobby) falls in love with a local girl and must decide on her, or save the theatre. The West End's first taste of the show was a year later in 1993, with Ruthie Henshall as part of the cast, while last year saw Regent's Park Open Air Theatre tackle the musical with its usual aplomb. Currently, 'Crazy For You' is performing at the Novello Theatre in Aldwych, London, and we have super discounted seats for this spirited and sublime show, up for grabs. The Special Offer is - buy selected tickets to see 'Crazy For You' and receive up to 50% off until 17th March 2012. E.g. seats costing £59.50 (stalls) now cost either £29.50 or £34, depending on seat type, or seats usually costing £47.50 now cost either £29.99 or £27.99. There are various other price bands; including seats for just £15 - just click on the Book this offer button for more details and choices.